The Graduate Associate/Assistant position previously announced is now a part-time Program Coordinator position in Tribal Relations. Interested parties can apply through the University of Arizona Human Resources website with reference to the position number S22273. Start date is October 10, 2016. Your mission, should you choose to accept it, is to apply for the position of Associate Library Director at Penfield Library, SUNY Oswego. • Coordinate the implementation of assigned digital projects. • Contribute to the development of digital collections. preservation of digital collections according to national standards. To apply: Forward cover letter, resume and contact information for 2 professional references via email to Anibal Arocho, Library Manager, at aa3260@hunter.cuny.edu and cc: José deJesús, Associate Director for Operations, at jdejesus@hunter.cuny.edu . Curation of the Centro Digital Art Humanities Exhibitions. Evaluate and update metadata of digital assets from current and past travelling exhibitions. Selects and prioritizes the Centro art collections to be transferred to a digital format. Oversees and assists with the digitization of art works in coordination with Centro staff. To apply: Forward cover letter, resume and contact information for 2 professional references via email to Anibal Arocho, Library Manager, at aa3260@hunter.cuny.edu and cc: José deJesús, Associate Director for Operations, at jdejesus@hunter.cuny.edu The subject line of the email should read: Art Assistant Digital Curator Telephone queries: 212-396-7879. The THINK TANK is seeking candidates for the positon of Instructional Specialist, Senior. The Instructional Specialist, Senior is responsible for the delivery of LSAT exam material, and for the verbal sections of the GRE and GMAT graduate school entrance exams. Instruction of the verbal sections of the ACT and SAT college entrance exam preparation course is also required. Curriculum review and refinement will be an ongoing process for all exams. The successful candidate will be highly skilled in logic, rhetoric, composition, English, as well as classroom instruction. Developing rapport and building relationships with students are an essential part of the position, as well as maintaining positive relationships with other instructors and campus stakeholders. Collaboration with these stakeholders both on and off campus will include meetings, formal and informal presentations, and workshops. For best viewing quality open in your web browser. Executive Assistant Position Open at AIGC! $15 million nonprofit scholarship and fellowship administrator, is seeking an experienced Executive Assistant. This individual is responsible for providing support to the executive team, including drafting correspondence, schedule and manage meetings and travel, manage all aspects of Board of Directors meetings and correspondence, proofread and edit organizational materials, orientation and oversight of support staff. Bachelors degree and a minimum of 5 years previous experience required. Human resources experience desired. Full-time position with competitive salary and benefits. AIGC is an Affirmative Action/Equal Employment Opportunity employer committed to multicultural diversity. American Indian or Alaska Native preference. To apply for this position, please Email a letter of interest, resume and 2 references to: web@aigcs.org. 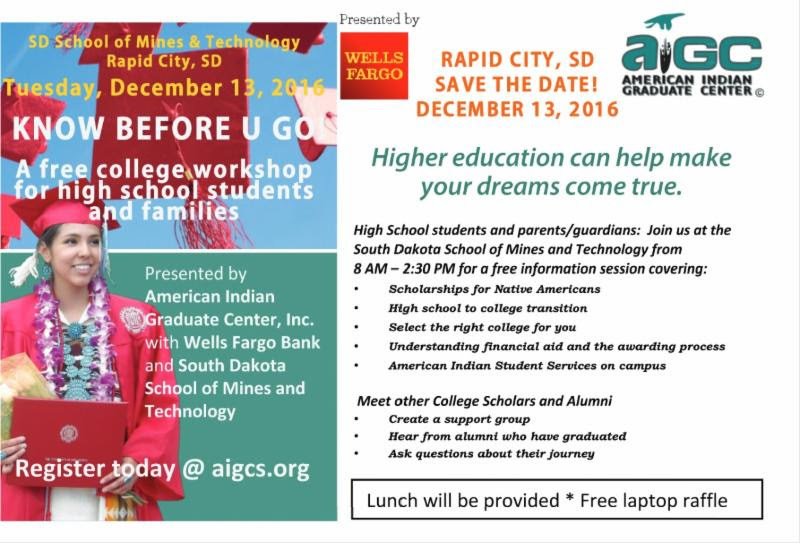 "A Guide to College Readiness"
Know Before U Go event. 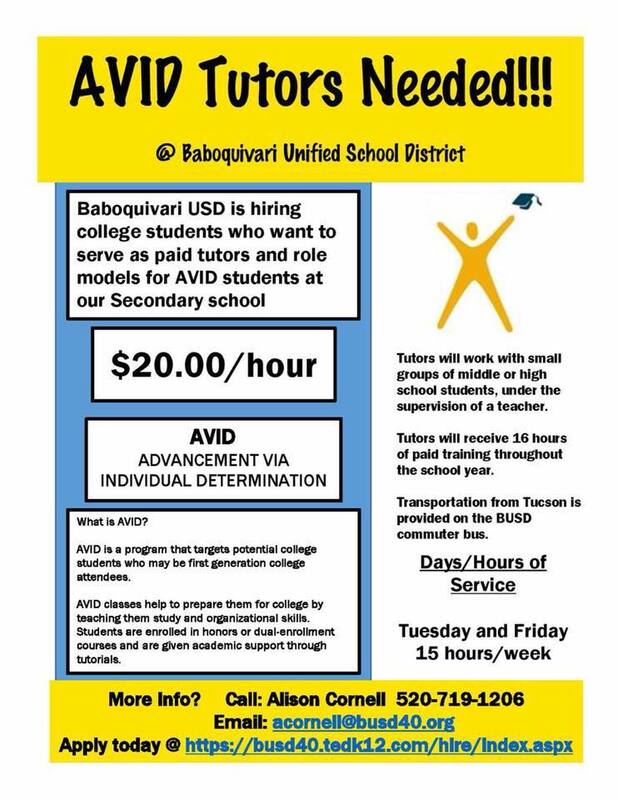 Area tribes are encouraged to contact AIGC to partner in helping transport students. Each participant including parents must register online by visiting www.aigcs.org or click the link below to register. For additional information or to host an event, please contact Josh Lucio at 1-800-628-1920. The exchange is a continuation of an exchange program that Santa Fe Indian School (SFIS) had with The Children's Village (TCV) in the mid-1990s. It was suggested by His Holiness the Dalai Lama -- as he felt Native people and Tibetans were very similar -- he even remarked how he felt like he was home during his visit to Santa Fe and the Santa Fe Indian School. SFIS is recommencing the exchange in light of how similar native issues are with Indigenous people around the world in trying to maintain native unique cultures and languages in the face of globalism. Students will use the experience as part of their Senior Honors Project - particularly in the application of the United Nation's (UN) Declaration on the Rights of Indigenous Peoples (UNDRIP). UNDRIP advocates the rights of Indigenous people to self-determination, maintenance of cultures and languages and self-rule. Contributions will help for the cost of passports and travel visas. Indigenous Nations Library Program (INLP) is thrilled to present the first exhibit developed by INLP. 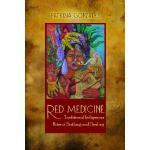 INLP is highlighting the academic contributions of Indigenous Faculty at the University of New Mexico. The opening of the INLP Book exhibit will run from September 9 through May 2017, in Zimmerman Library, at the INLP and Herzstein Latin American Gallery. This show will be a evolving exhibit and new content and displays will be installed throughout the duration of the exhibit. Thank you and INLP hopes you can attend the exhibit. If you are on the AIGC mailing list to receive a hard copy of the magazine, watch for it in the mail. If you are not on the AIGC mailing list and would like to receive a hard copy, an electronic copy or, if you have recently moved and need to update your contact information, please click here. 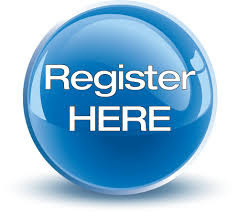 You may also call 800-628-1920 or visit the website anytime, at aigcs.org. 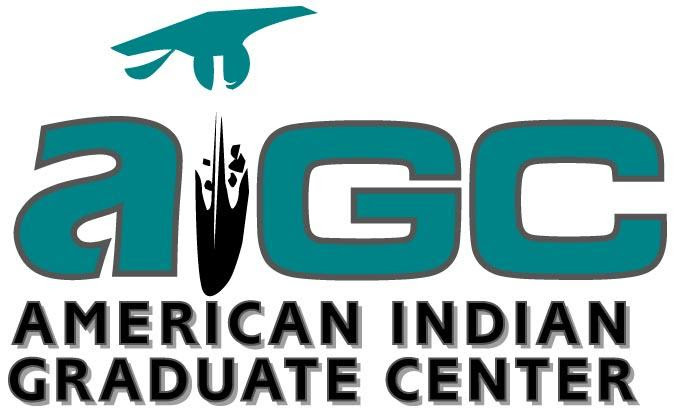 Visit the AIGC website to view the current, or any past issues, of The American Indian Graduate magazine on-line, please click here. 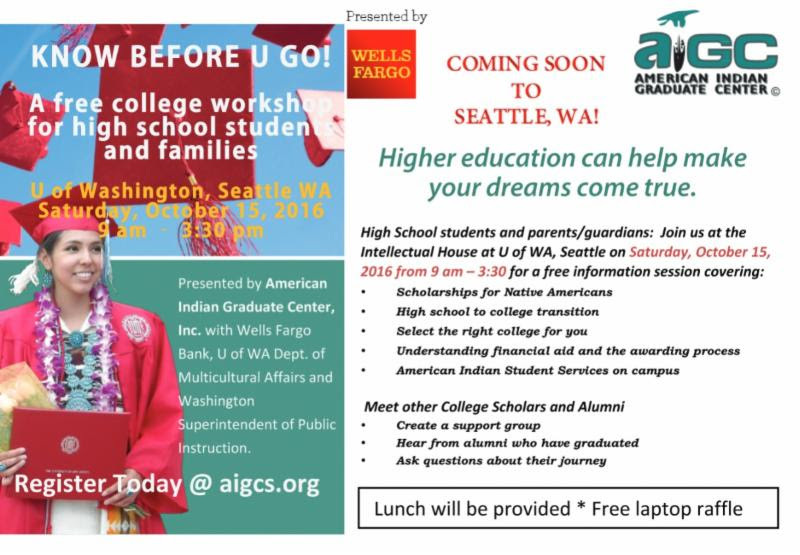 If you would like to advertise in the next issue of The American Indian Graduate magazine, please contact mario@aigcs.org. The deadline for the Spring 2017 issue is Dec. 1, 2016. Thank you to all of the advertisers who sponsor the AIGC magazine! They are always listed on the right side of our E-Newsletter. $52 million in scholarships since its inception more than 46 years ago. Emerson College in Boston, MA is in search of a Head of Archives and Special Collections. Job Description: Head of Archives and Special Collections is responsible for all aspects of archival administration of the College Archives, Special Collections, and American Comedy Archives. They provide leadership and vision for the department and oversee all activities including collection development, access and preservation; reference, outreach, and instruction; and records management. The Head is actively involved in donor cultivation, grant writing, and fundraising. represent the office of the AVP when necessary. opportunities for Native American communities. newsletter and prepare for distribution. 5. Maintain the Tribal Relations website and any other social media communication. 7. Maintain databases of tribal leadership and resources. 8. Other duties and projects as assigned. enrolled in a regular graduate degree-seeking program. appointments and are not eligible for reappointment until grades are reviewed. environments that require high level of discretion and confidentiality. 3. Demonstrated ability to plan and achieve short and long-term goals independently. Submit a cover letter and résumé to Karen Francis-Begay at kfbegay@email.arizona.edu. Review begins September 19, 2016. Anticipated start date of September 26, 2016.